TV show dates: October 12, 2018 — present. Performers include: Isabelle Huppert, Marthe Keller, Aaron Eckhart, Diane Lane, Christina Hendricks, John Slattery, Amanda Peet, Jack Huston, Corey Stoll, Andrew Rannells, Mike Doyle, JJ Feild, Janet Montgomery, Paul Reiser, Noah Wyle, Kathryn Hahn, Kerry Bishé, Jay R. Ferguson, Ben Miles, Mary Kay Place, Griffin Dunne, Cara Buono, Ron Livingston, Jon Tenney, Clea DuVall, Radha Mitchell, Hugh Skinner, Juan Pablo Castañeda, Emily Rudd, Adèle Anderson, Annet Mahendru, Louise Bourgoin, Hera Hilmar, Inès Melab, Michael O’Neill, and David Sutcliffe. From Mad Men creator Matthew Weiner, The Romanoffs TV show is a drama anthology. The series follows eight separate stories centering on characters who believe themselves to be descendants of the Russian royal family. Tsar Nicholas II, Empress Alexandra, and their five children were executed in July of 1918. The legend of the House of Romanov still captures the imagination, in part, because of the theory that daughter Anastasia escaped and assumed a new identity. 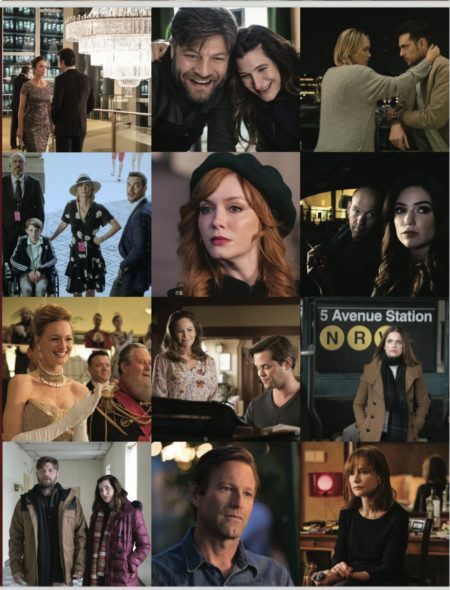 Each standalone episode of The Romanoffs employs a different cast and new locations to tell the story of contemporary people. The only common thread is that think they are descendants of the Russia’s former imperial family, which ruled from 1613 until the Bolsheviks seized power. What do you think? Do you like The Romanoffs TV series? Should this Amazon TV show be cancelled or renewed for another season? Enjoyed it a lot! Like this format….one theme running through all of the stories, but a complete one hour interesting,entertaining, deep story eac time. I was hoping that more characters would cycle thru episodes … I saw Aaron Eckhart on an escalator in the final episode (which was my favorite) and a couple of other times there seemed to be a sighting …. but I question, where is Weiner going with this?